I got this orange high-waisted skirt from Forever 21 the other day, and it was $7.50!! What a steal. Autumn always makes me want to dress in rich reds, browns, orange and gold tones. Inspired by the ever changing colours of the trees? I think so. 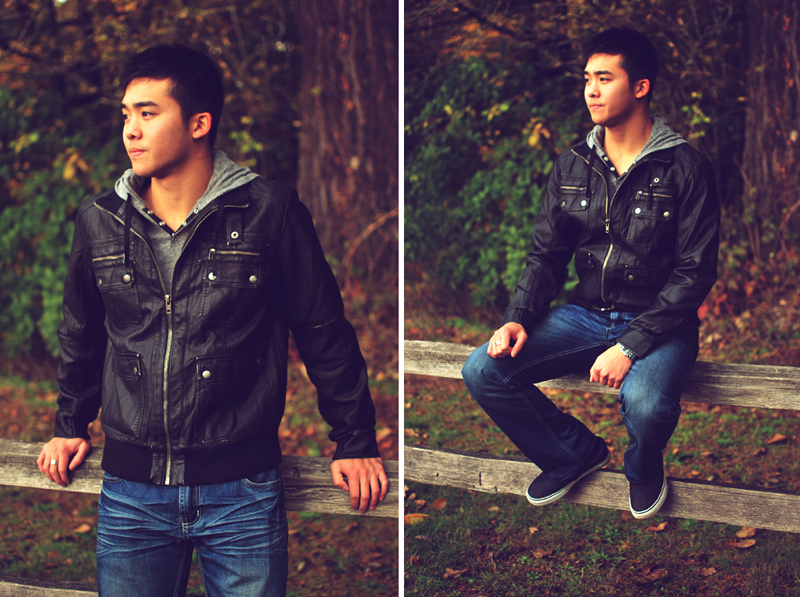 Oh, and I got a few shots of Aaron as well! Maybe I should try and convince him to do outfit posts sometime. What do you guys think? heheh not sure if this is my first time commenting so we'll see how this works. Anyhow.. love ur pairing. ur necklace is so awesome!! LA? nice!! u have to try PINK?!? (I think that's the name) some hot dog stand near sunset blvd. Oh man, my memory is fading. I had to line up for an hr (12am-1am) just to get my hot dog! It just melts in your mouth with all the chilli topping. I can't remember the other places but I tend to go where locals go. I will need to dig up those places and tell u later. I'm sure u have other friends to tell u as well. whoa.. u linked my old old old account from awhile ago. I don't post anything. Great post! Love that flowy top! You should definitely get him to do outfit posts, we need more stylish men in our community haha. love the jacket and layers!! Your brother could snap really great shots! Plus your editing I suppose? The pictures look so dreamy. I like the lace draped cardi a lot. Love the colour and the way it flows. Hahaha had to direct him but he took the directions quite well :P Yup I edited it! Same here! It was about $20? Quite a steal. I love the lace. Tessa love, you are gorgeous. Lovely bum!! :) tee hee. I'm diggin all the layers. It's something I envy from all the ladies that live in cooler climates. We can't/don't really layer in Hawaii, because, well, we live in the land of sunshine! Haha. I hope you have a ton of fun in LA. Gosh, I haven't been to Cali since, 2003. It's been so long, that I need to plan a trip there. Here's to a great week, sweets! Muah. Swing by to enter my Alainn Bella Giveaway. seems like i'm having the same issue... i'm the photographer amongst my bunch and i'm way too critical when somebody wants to take pictures of me. 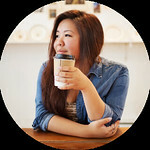 i took a peek at your blog and i'm loving the photography! Cute outfit, I really like your military jacket! I've so been wanting one myself, but by the time I do, they'll prob be on their way out haha. Saw your comment on Cryskay and had to check out a fellow Vancity blogger! Hello fellow Vancouverite :) Thanks for stoping by! You should get one! It's a good piece to layer with for sure. Nice photos and really cool outfit, you look great, I love your skirt, what a great color and that blouse is nice, the perfect touch to the outfit; your necklace also rocks and you are really beautiful! Your blog is awesome by the way and I am a new follower! Hope you will like my blog and follow back! Oh gosh, there's so much to do in LA! Westside of LA: Venice beach (very hippie), Santa Monica pier and Third Street Promenade. If you have time, you should drive north on PCH along Malibu and stop in the Getty Villa. Let me know if you need recs on what to eat! Check out the Santa Monica Pier and Venice Beach near LA.